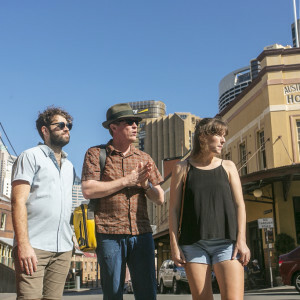 Take prostitutes, convicts, and the bubonic plague, sprinkle in a healthy dose of union agitators and razor-wielding gangs, and you have the makings of central Sydney’s Rocks neighborhood. 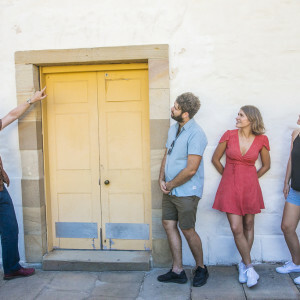 During this 3-hour Rocks Walking Tour, we’ll focus on Sydney’s social history, from the convict settlements located here in the 19th century to more recent immigrant groups and their struggles for equality. 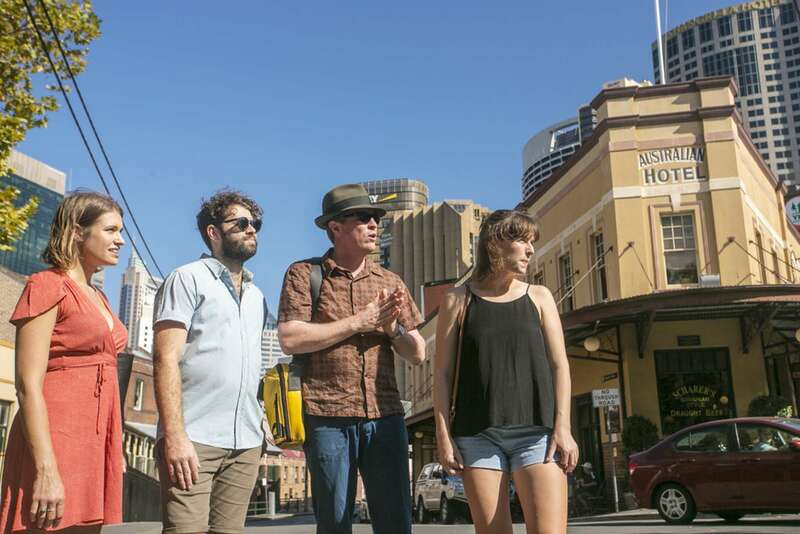 Along the way we’ll uncover a dynamic portrait of multicultural and multifaceted Sydney, one rich in stories and colorful personalities. We’ll start out along the western edge of Sydney Cove where we’ll begin at the beginning—the arrival of the First Fleet. 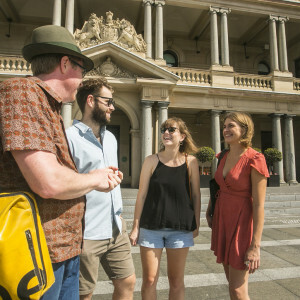 But, unlike the more traditional course through the political history of Sydney’s early history that we take on our Sydney History Tour, we’ll veer into social history and look at how immigrants, workers, women, families, and—yes—convicts shaped this city over two centuries into a leading global metropolis. 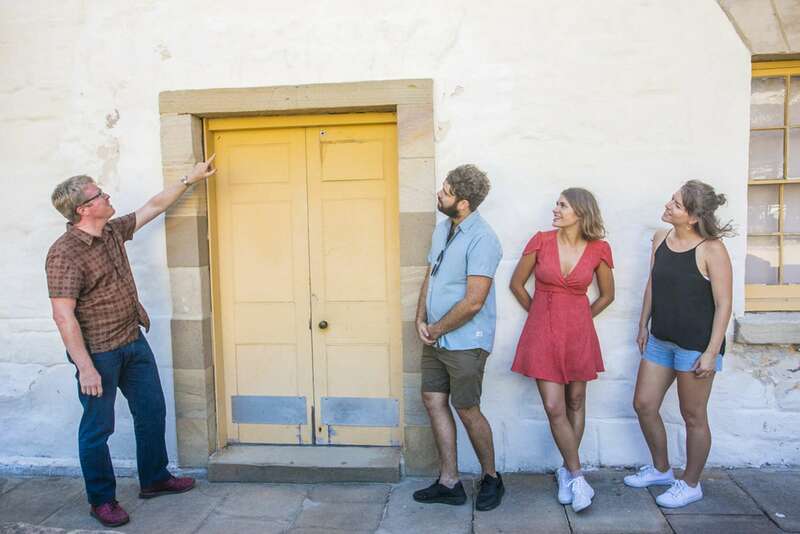 During our time together we’ll visit a variety of monuments, from historic homes like Cadman’s Cottage to archaeological sites like the Big Dig under the Sydney YHA. 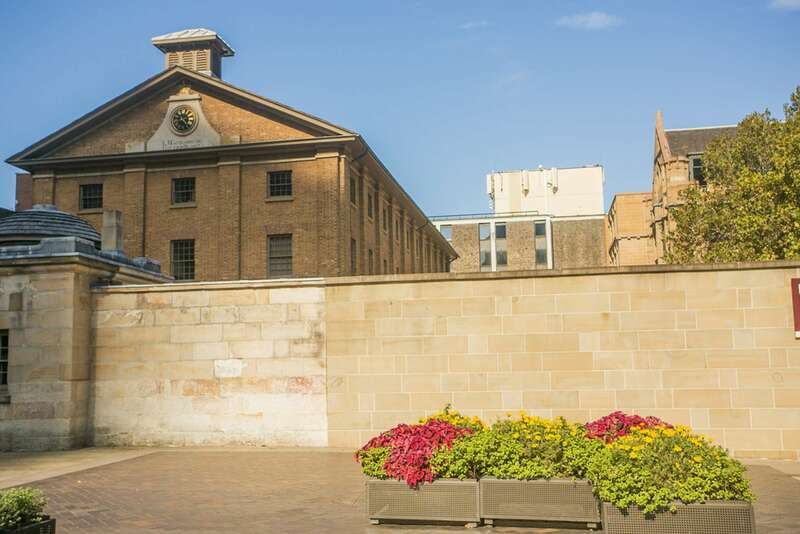 This will enable us to discuss the presence of the Cadigal people in this area before European contact, and the successful waves of immigrants who settled here—from the European dockworkers in the 19th century to Chinese merchants in the 20th. We’ll wander the narrow, picturesque alleys crisscrossing the shadows of the Harbor Bridge, looking at how different groups inhabited and made their living here, from the shop owners along Gloucester Street or the strumpets (prostitutes) who contributed mightily to the economic vitality of this area in the 19th century. We will also look at the labor movement in Australia, which had a strong presence in the Rocks, partly due to the Harbor Bridge construction project. We’ll spend a good amount of time in the shadow of the bridge, or perhaps climb its pylon, and learn about the green bans, a labor protest movement aimed at preventing the destruction of historic buildings and gentrification of the neighborhood. 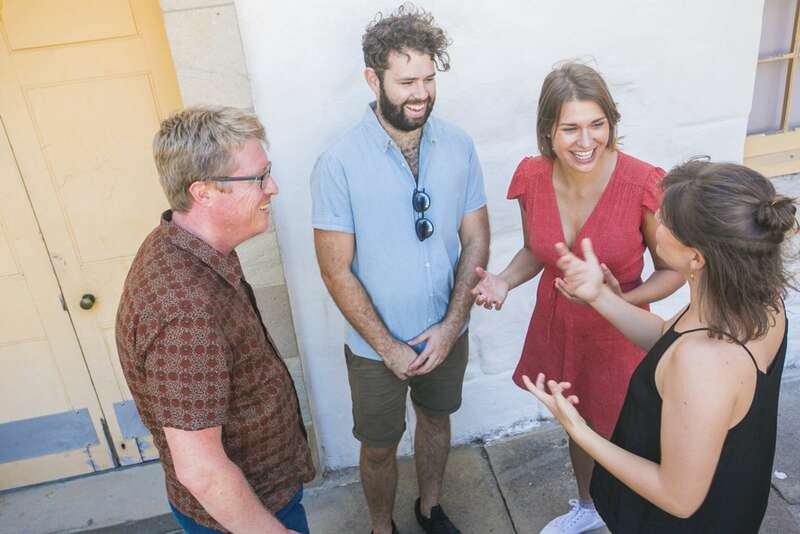 At the end of our time together we’ll have a better idea of the social forces at work in Sydney over time, and how different groups of settlers have each made a contribution to the character of the city. Note: This walk involves some fairly steep ascents and descents via flights of stairs. Please wear comfortable and appropriate footwear and bring a sunhat and a bottle of water. photo credits to Kristina D.C. Hoeppner and Governor Macquarie. Is this a relatively tough walk? This walk does have several flights of stairs both in ascent and descent. In total, there are about 6 flights up and about 3 flights down. These range from 10-25 steps. Can the steps be avoided? We can avoid these stairs by walking a different route, but this may shorten aspects of the walk. 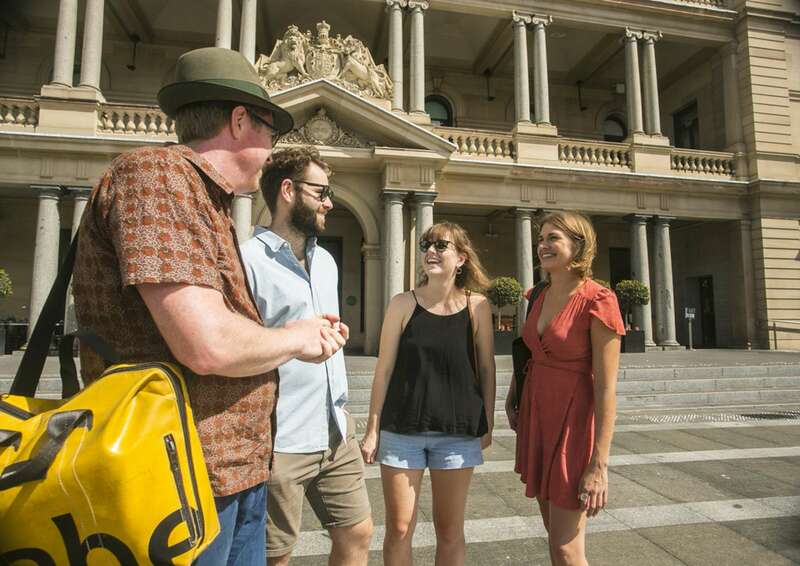 For clients who might struggle with stairs, we recommend our Making Of Sydney tour. Will there be much shade along the walk route? Much of the walk will be out of cover, but our docent will do their best to go under shade where possible. We recommend wearing a sunhat and bringing some water. 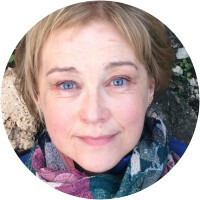 Dr Bronwyn (Bron) Hanna is an architectural historian who has worked for both government and industry helping develop heritage assessments for places such as the Hyde Park Barracks, the ANZAC Memorial in Hyde Park and the Aboriginal Fish Traps in Brewarrina. She was project manager for the successful World Heritage Nomination for the Sydney Opera House in 2005. She published widely while writing three research theses on the Australian built environment for her PhD, Master's and Bachelor's Honours degrees and is the co-author of two award-winning books about women architects in Australia. She taught art history at the University of Sydney for four years, specialising in Australian art and international modernism. Bron is interested in the politics and practice of heritage (or “preservation” as it is known in the USA) and she recently undertook an oral history project interviewing 23 pioneering heritage practitioners for the Australian National Library. 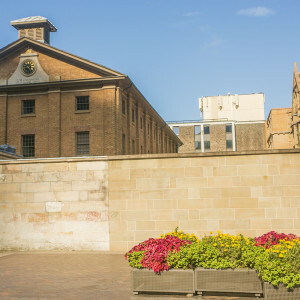 In researching her own family history she was surprised to discover that she is sixth and seventh generation Australian on every front, and has five convict ancestors. She has lived most of her life in Sydney except for 12 months spent as a high school exchange student in California. 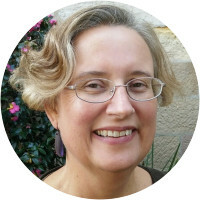 Patricia is a member of the Professional Historians Association (NSW) with an MA in Public History. Her particular expertise is the early colonial and convict history of Australia, especially that of New South Wales and the Sydney region. 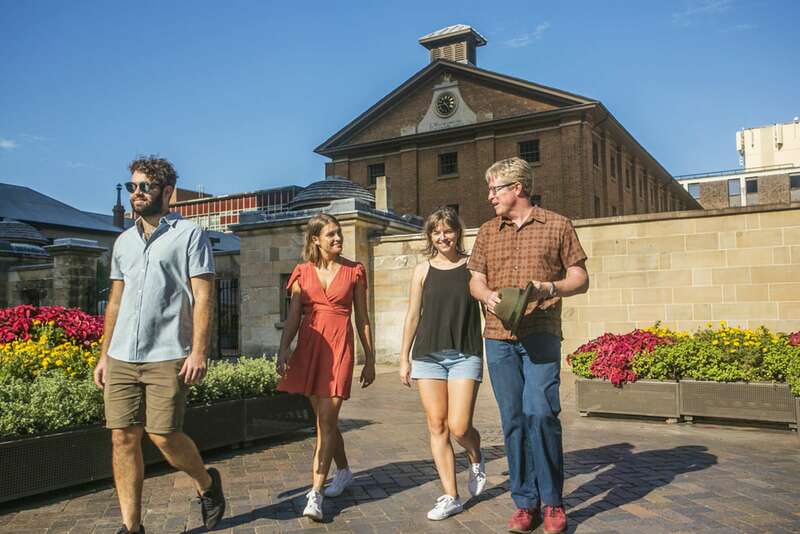 She has worked on the assessment of heritage sites for listing on the State Heritage Register—the highest level of heritage recognition and protection in NSW and now works as a professional historian, heritage consultant and guide. 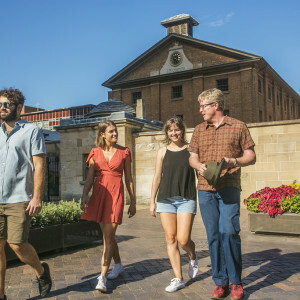 Through her work in public history (the production of history for broader audiences), and as a keen traveller herself, she’s excited about telling to other travellers the stories of the settlement of NSW and life in the colony. 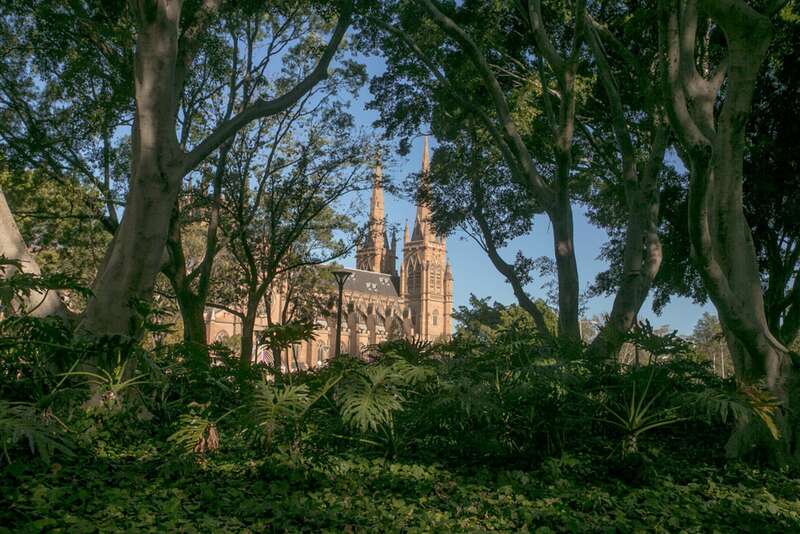 Mark is a historian with 20 years work experience in Sydney's history, heritage and archaeology. He has completed a Masters in Applied History and a PhD in the history of colonial race and class relations in the NSW convict colony. 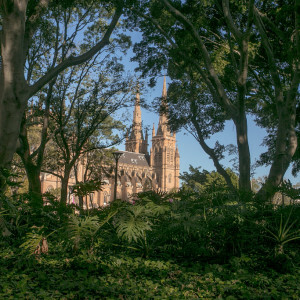 He is the Chair of the Professional Historians Association, a member of the NSW Heritage Council and previous President of the History Council of NSW. 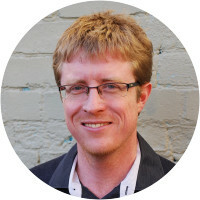 Until recently he hosted a regular history segment on radio Fbi 94.5 in Sydney (https://scratchingsydneyssurface.wordpress.com/) and has acted as a consultant for the family history television program Who Do you Think You Are? Australia. Mark is extremely knowledgeable and a great communicator. See Sydney with him! Mark was everything we look for in a guide: knowledgeable, organized, on-time, personable, engaging and friendly. Thanks for a very enjoyable and educational experience.